Donald Trump's tough loss to rival Ted Cruz in Wisconsin isn't a great sign for the Republican frontrunner. The loss erodes the possibility of him taking the convention outright and it seems to be a warning to Trump to get his house in order after weeks of bad PR. However, the exit polls from Republican primary voters may be even more indicative of the battle that lies ahead on the final stretch to the nominating convention. Wisconsin exit polls may indicate decreasing support for Trump as Republicans become less enraptured with the business mogul turned politician, and his base no longer seems receptive to his primary campaign message. Great news for the Democrats — more than one in three voters said they would not back Trump in a hypothetical general election. Wisconsin has an open primary, so some of these respondents might be unaffiliated or even Democrats trying to dilute the vote. Yet even if the sample was somewhat diluted from strict Republicans, that's still a huge number of respondents who would either swing or abstain in a general election. The Badger State hasn't voted Republican since President Reagan last ran (although margins have often been close), so it's already a somewhat safe blue state. If Trump is the nominee, these exit polls all but guarantees the state for the eventual Democratic nominee. A few other exit poll questions suggest that voters are starting to see through the facade of Trump's campaign persona, and are becoming disillusioned by his tactics. More than half of respondents said that Trump has run "the most unfair campaign," and nearly half were looking for a president with experience in politics. These are two of the central tenants of Trump's campaign — his atypical campaign strategy and his status as a Washington outsider. And while this was working in the past, the results in Wisconsin suggest that the strategy isn't inspiring voters anymore. Wisconsin voters were also less angry than voters in other states, which might again point to media saturation. Over half of poll respondents said they were "dissatisfied" with the government, compared to one-third who said they were "angry." Trump announced his campaign over a year ago, and has been tapping into voter anger at the government ever since. However, the initial fervor that stimulated Trump's base may be subsiding as the number of angry voters has fallen slightly. Of course, it's important to remember that these results aren't necessarily indicative of national trends. Wisconsin is ranked number 13 on Gallup-Healthways 2015 Well-Being Index, which makes an especially big difference in the anger question. Perhaps a more indicative response was from high school graduates and low-income voters, who have made up a significant portion of Trump voter base so far. Trump and Cruz tied in these demographics, which indicates that Trump's message is no longer the sole candidate reaching and connecting with this base. 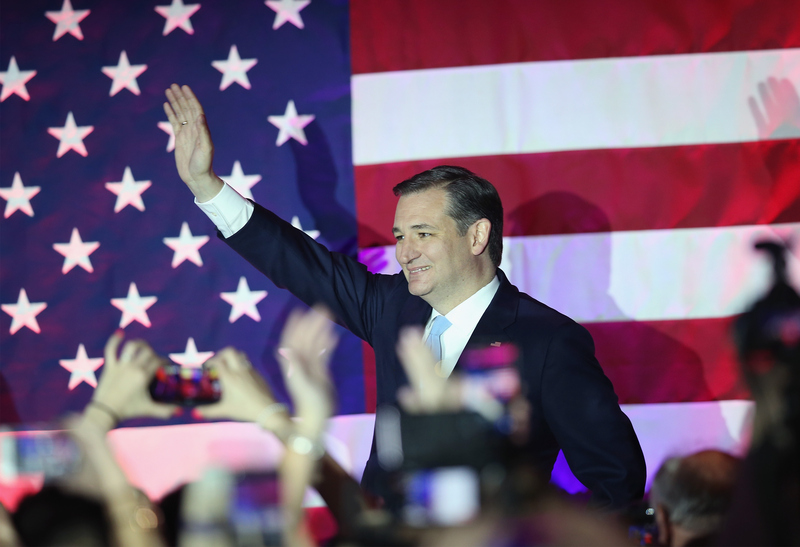 If that trend persists throughout the rest of the primary season, it essentially guarantees a contested convention or an automatic nomination for Cruz. The repercussions of the Wisconsin primary will continue on through at least the Republican National Convention in July, and if Trump is the nominee, it could be foreshadowing of how his campaign is ultimately brought down.